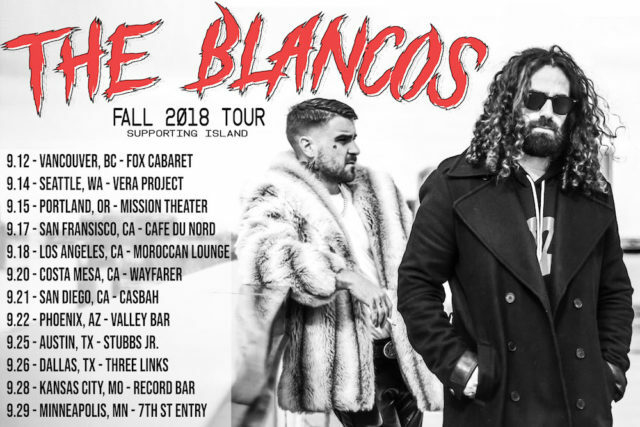 The Blancos have been on a rocket ship as of late with the release of their second single on Lava Records aptly titled "We're Tired" featuring Joyner Lucas. Starting with an audio release via New Music Friday on Spotify, the collaboration now sees a visual product released shortly after Joyner's feature on Eminem's new record Kamikaze. We have all become so lost in our modern day political battle of left against right that we’ve forgotten our humanity. Many of us have lost our sensibility to see beyond our beliefs. Blood has been shed, children have been taken from their mothers. The world has changed. We have been the dominant catalyst, yet we collectively refuse to make many of the necessary adjustments to go along with it. We make music…a lot of it. Our music spans a wide variety of topics and genres, but this song is our PSA. We’re fed up. We’re tired of this mess. We have had nothing but love for The Blancos for a while now and are only looking forward to seeing what else is to come. The video comes at a pivotal moment in our history where we have to stand up for what's right. The duo will be taking their tour on the road for their 2018 Fall Tour stopping across the west coast and midwest over the course of 12 shows supporting UK band ISLAND. Marian Hill kick off 2018 with new original and remix of Hayley Kiyoko's "Curious"